Thu 17 Nov 2016 – Marine Propulsion – Corvus Energy and Saft have each gained approval for their energy storage units from the Norwegian Maritime Authority (NMA). 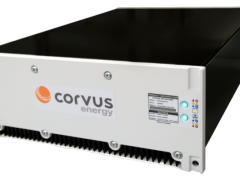 Corvus said its Orca energy storage system had passed the NMA’s thermal runaway propagation testing, which was witnessed by class society DNV GL. This proves the safety of the storage unit for hybrid or fully electric propulsion systems. The NMA requires tests to verify that when safety systems are deliberately defeated and thermal runaway of a battery module is induced by overcharging, the thermal runaway is limited to a single module and does not spread to other modules in the battery pack. Corvus demonstrated that Orca was designed with a higher level of fault tolerance by eliminating the possibility of thermal runaway spreading to neighbouring cells within a single module. 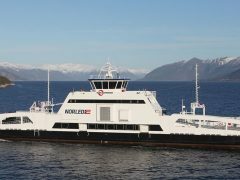 Corvus executive vice president for sales and marketing Halvard Hauso said Orca had been installed on eight tugs so far. “Our batteries can reduce fuel consumption, can be for peak shaving on a vessel or can be used as back-up to the main propulsion,” he said. The NMA also approved Saft’s Seanergy marine energy storage system for use in a variety of hybrid and fully electric propulsion applications. This involved thermal runaway tests on new lithium-ion super-phosphate batteries. These passed the test three times with no uncontrolled event and no fire or explosion, with nearby cells remaining in a safe condition and no propagation to neighbouring modules, without any active means of fire suppression.